On two sides of the world over the past fortnight, some significant Aussie Rules and GAA clubs competed against each other in International Rules. 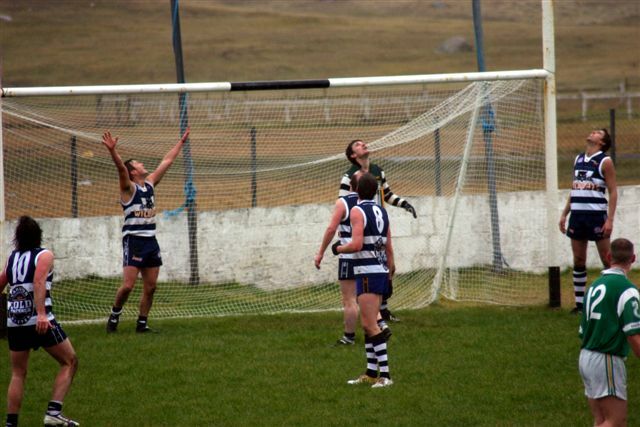 In Gaelic football-playing and Gaelic-speaking Gweedore in Donegal, north-western Ireland, the West London Wildcats Aussie Rules football club, the biggest of the BARFL clubs, played CLG Ghaoth Dobhair, one of the best Gaelic Football clubs in all Ireland. Meanwhile far from the cool mists of Donegal in a steamy hot Sydney a 12 team International Rules tournament was played out by 6 Sydney AFL clubs and 6 Sydney GAA clubs. The game in Ireland had been advertised as front page news in the local press and a crowd of 4,000 was tipped according to The Australian Times. 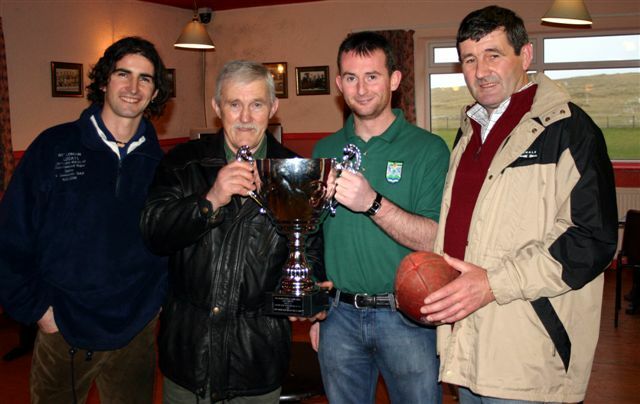 Gaoth (or Ghoath depending on Celtic grammar) Dobhair proved too strong for the BARFL champions running out victors 79 to 37, but this didn’t stop Wildcats' president Matt Glynn from inviting Gaoth Dobhair to London for a 2007 rematch. 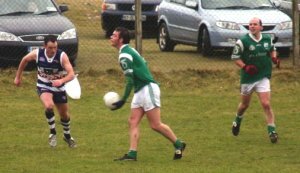 The CLG Ghaoth Dobhair website has a full match report in English (much of the rest of the website is in Gaelic). The Wildcats also have a report here and supplied WFN with the great photos you see in this article. In the end the crowd was estimated at 7000 and was a great advert for "Inter-Rules". Best for the Wildcats were Nutta, Lavelle, Butler, Sitters and Holland. In Sydney six 1st grade Aussie Rules clubs: Balmain, Campbelltown, East Coast Eagles, North West Jets, Wollongong and Penrith Rams took on six GAA clubs of the NSWGAA: Clan na Gael, Cormac MacAnallens, Irish Rovers, Penrith Gaels, Michael Cusacks and Young Irelands. The Sydney AFL website has an outline of the tournament program which was played at Princes Park, Auburn. The East Coast Eagles progressed the furthest of all the Aussie Rules clubs making the “final four” where they defeated the Penrith Gaels in their semi-final 31 to 13 (the write up suggests heavy use of the tackling rule may have been employed) and met Michael Cusacks in a thrilling final that was decided in extra time with an 18 to 16 victory to the GAA club. The East Coast Eagles have a good write up of the day on their website. These games would seem further indication (along with others reported on WFN) that International Rules has found it's way onto the pre-season competition calendar as Gaelic and Aussie Rules clubs prepare for their own season's proper. Novelty and enjoyment of cultural and cross-code camaraderie appear to be part of the attraction.